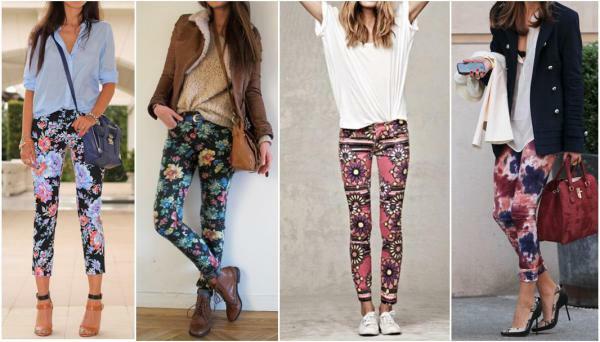 Floral patterns were all over the runways for Spring 2015 and we are definitely seeing them crop up in all the stores. From big and bold to abstract to subtle and miniature – all variety of petal prints are in style but the question is, how to wear them without looking like your grandmother’s bathroom wallpaper? If you are new to prints start with a hint of petal prettiness: a floral clutch, will start you in the right direction. Or try a printed pump – looks adorable with a simple spring dress in white, yellow, pink, or with white or dark jeans and a flirty spring top. Ivanka Trump, Rebecca Minkoff, Gucci. Don’t be afraid to go all the way with florals. A long or short dress with an all-over print can look stunning and scream spring. Pair it with a leather jacket or denim. (I particularly love this All Saints biker jacket because the bottom zips of to make it cropped which is even more flattering with your spring dresses.) Think feminine but with an edge. Long Floral Dress by Yumi Kim. Pick one piece of your outfit and let that be your statement maker – a floral skirt, blazer or pants, and let the rest of your outfit be subtle yet complimentary. As you warm up to prints (and for all you monochrome New Yorkers – this may take a few tries) don’t be afraid to mix and match. Tuck a striped tee into a floral skirt, a rose print dress with a leopard pump. The matching of different prints creates a very feminine and springy vibe. It takes some confidence and practice to pull this off but it’s spring, have fun with it. If your spring wardrobe needs an upgrade ASAP, give me a shout and I'll help you out.